Speedy the cheeky house bunny: Look what came in the mail for me! 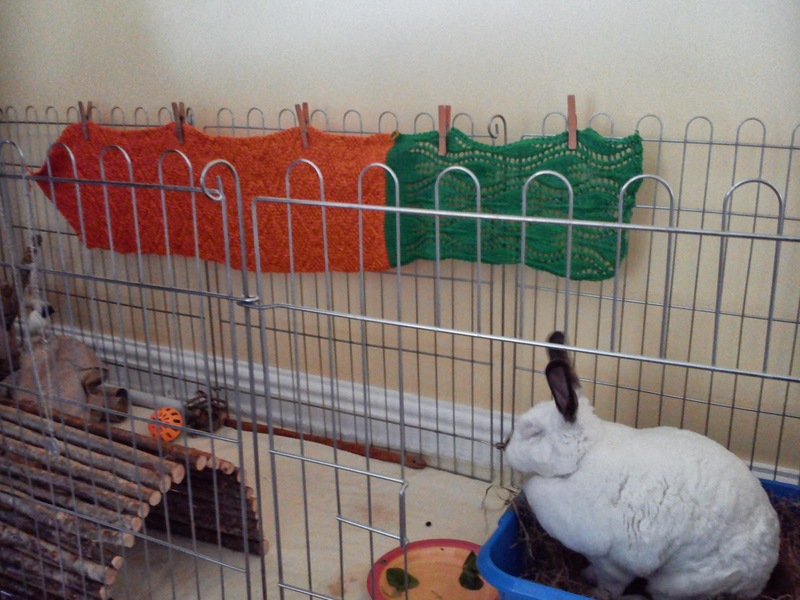 Friday I had a very important Package arrive for me in the mail,and the really exciting thing was it was from my Auntie Jane!She knitted me the most amazing Flag so now I have my very own Colours! Oh! Now mes is going to has to comes by and sees how it feels! That is a pawesome flag, Speedy! So colourful and cheerful Speedy. Have a serene Sunday. Wowee! What a furtastic prezzie! You are a furry lucky little bun! Thanks for the kind words about the flag. I was trying to make it look like a carrot. I know, I know, I have more work to do...This would of course be the false flag that Captain Speedy would use to lure in the unwary. Nylablue and Sherri-Ellen you are still in our prayers. That's an awesome flag Captain Speedy. Wow! You have your own flag now? Ever lucky! I'm so jealous... Nothin' important like that ever happens to me. MOUSES! That is beautiful Speedy and you are flying it proudly pal! Oh, you have the bestest Auntie EVER!! That is one PAWSOME flag Speedy!! Now your ready to hit the high seas!! That's a great flag, Speedy! That's a very nice flag Speedy. Maybe your Auntie Jane will knit you a sweater for winter. that is so beautiful!! What a lucky bunny you are!! That sure is wonderful! Speedy you've got a great little space there. Aye, aye, Cap'n Speedy! What a neat gift. And we're keeping the prayers going. Speedy how wonderful that you have your own flag! VERY cool flag Speedy!!! You are the cutest bunny ever& we love you oodles.